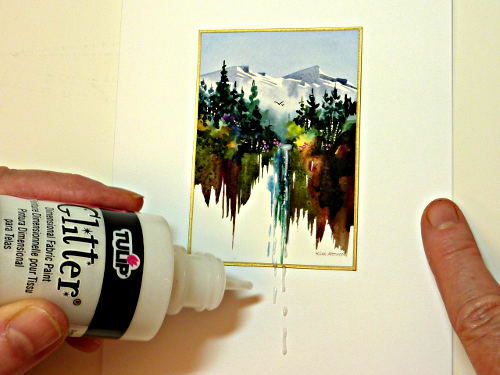 Making the water scenes in your cards come alive with sparkles is one of those card making ideas that is so satisfying. Sparkles are guaranteed to get attention because they are dynamic! 1. 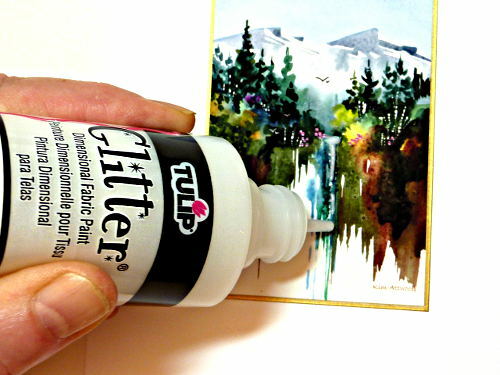 Tulip Glitter Fabric Paint and Stickles "Waterfall" Sparkle Glue (available at stamping stores) are great aids when embellishing water. 2. A favorite image of mine is the Mountain Waterfall. 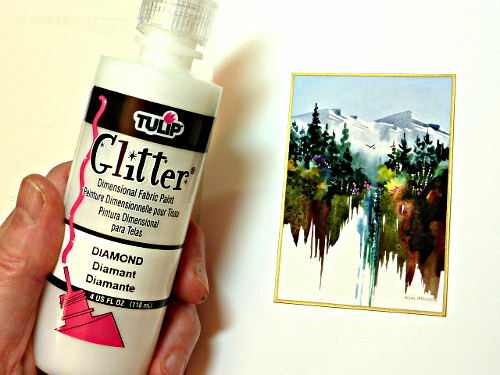 I drag the sparkle glue down in the direction of the falling water. 3. Then I let it cascade off the image and onto the card stock.